As New Englanders, we love a good story. 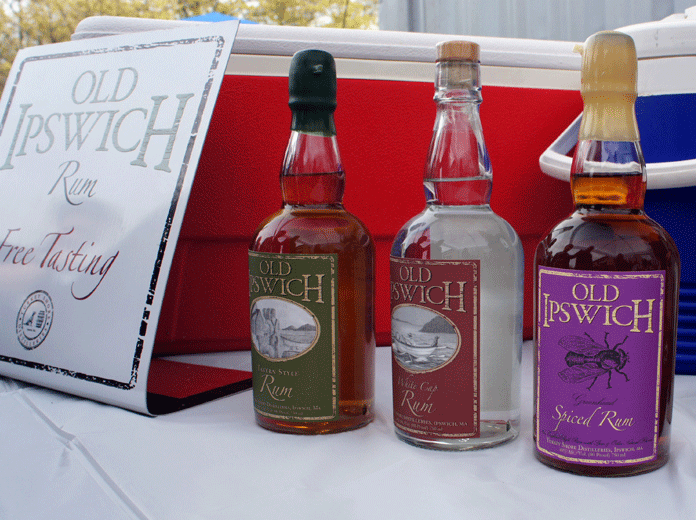 We also love local products—especially the kind you can make cocktails with. So it was with great pleasure that we attended a party to celebrate the one-year anniversary of Turkey Shore Distilleries and the launch of their Greenhead Spiced Rum last weekend. The company was formed by Mat Perry and Evan Parker, who grew up as neighbors and friends on Turkey Shore Road in Ipswich. It turns out that barrels of molasses from the West Indies were unloaded at a wharf in Mat’s backyard along the Ipswich River on their way to John Heard’s local distillery from 1770 to 1836. In fact, rum making was a major New England industry in colonial times. Today, Perry and Parker use table-grade molasses to create artisanal rum using a 250-gallon copper pot still built in Kentucky. We took a tour of the small operation, taking in the gorgeous still, the fermenting tanks, and the tiny bottling operation. Mat told us that the company’s barrels are unusual in that they are smaller than most and built for them from white oak. Most rum these days is aged in barrels already used to age scotch, but the colonials used new barrels, so Turkey Shore does as well. Along with Old Ipswich White Cap Rum (which we tasted in a fantastic adult version of lemonade) and Old Ipswich Tavern Style Rum (bolder than White Cap and truest to the original New England rums), Turkey Shore is now offering Greenhead Spiced Rum. Delicious and unusual, it has notes of lemongrass, spearmint, and green tea. 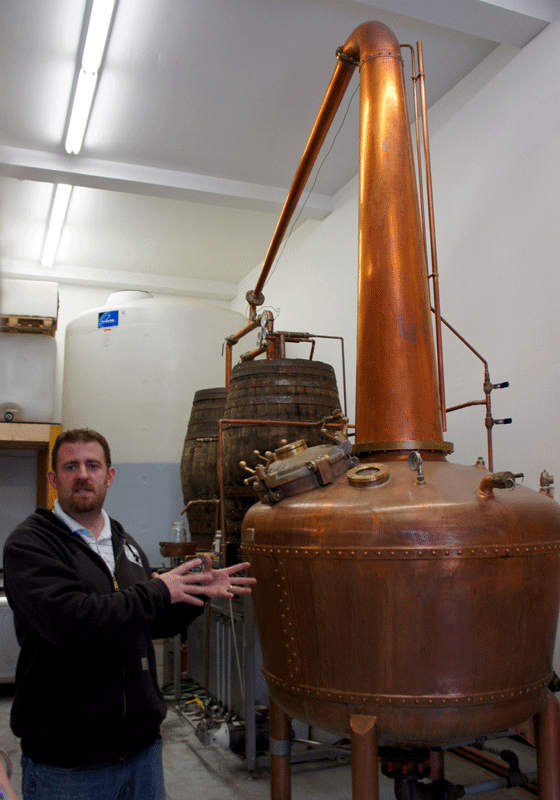 We enjoyed meeting the Turkey Shore team, sipping their terrific rum, and learning about their operation. We’ll definitely be seeking out their product, which is available at Kappy’s in Danvers and Peabody, Main St Liquors in Beverly, Cape Ann Liquors in Gloucester, Marcorelles Liquors in Ipswich, Haley’s in Marblehead, Port Wine and Spirits in Newburyport, and Quality Liquors in Salem. It’s also at some of our favorite restaurants, including Hale Street in Beverly, The Farm in Essex, 15 Walnut in Hamilton, and Choate Bridge Pub in Ipswich. For a full list of stores and restaurants, please visit the their website. If you’d like to see the distillery for yourself, you don’t have to wait until their next anniversary to check out Turkey Shore. Tours are available between 12pm and 5pm Monday through Friday and also by appointment. You can see more photos from the anniversary event on our Facebook page.